So how do you navigate in space ? 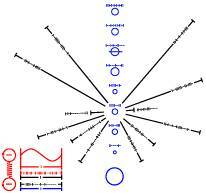 Same as you do on land, take a bearings from identifiable land marks, where all the lines cross, that's where you are. To pinpoint Earth having found our solar system is a piece of cake - third rock from the Sun. Easy.